Former American Idol contestant Anoop Desai put his own music video together for Adele’s Someone Like You. Watch his soulful rendition of the track with heartbreaking imagery. The guy can hit those high notes in this emotional song. Be sure to get Anoop Desai’s Zero.0 album and watch his music video “All is Fair”. That you, found a guy and your married now. This entry was posted in music on August 31, 2011 by Kevin Hsieh - channel APA. 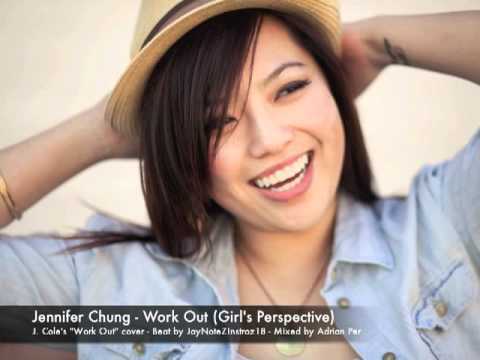 Singer Jennifer Chung put a female spin on J Cole’s “Work Out”. Her perspective provides an alternate point of view to girls who give it up too easy. She makes a case for a committed relationship rather than one that’s not. Why be a side dish lover when you can be the dedicated main course? Jennifer Chung did a quick turnaround on this one. She re-wrote the lyrics a couple of hours. Look for Jennifer Chung to release her album “4 Years & Counting ” on September 10, 2011. You tell me that you like how it is. ‘Cause you say that you can’t be my man. You’re hoping that I will understand. To be single but keep me, is that all a part of your plan? Would rather be the girl flying solo. Then to be the fool to follow your dead-ending road. ‘Cause it’s gotta work out for me. He likes em’ girls with the big ol’ fangs. Who eats up every word, every thing he says. I’m just sick & tired of being misled. I thought it was a go, but all I see is red. It’s because he couldn’t get it so easily. It’s not the game, but come on, think logically. Who is gonna respect, if I don’t respect me? You get it, right babe? Well, isn’t that a shame? So is life, take a chance, roll a dice. You get tricked into believing something bad is right. Who’s losing sleep in the night? Here you go again, confusing me. What you want, you aren’t sure? I’ve got a heart with a lot o’ love to give. Friends who call each other every night before the night ends? Every time you want it to, the rules bend. There is something wrong with all the messages that you send. I don’t need you to hold me & call me your girl. Know what’s on my mind. I’m fighting for what’s right tonight. Tonight. Tonight. Grow up, be a man, there’s a thing called class. Life is a test so before the night pass, get right. Get right. Straight up I’ll tell you I refuse to be your side dish lover. I’m not just here for you to have fun. This ones for our readers out Southern Cali reader especially in the OC and the 626. 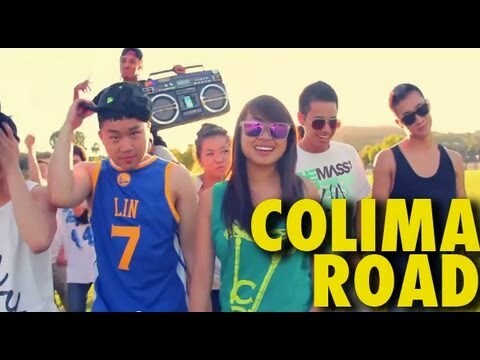 The Fung Bros. x Aileen Xu team up for their song and music video “Colima Road”. They take you on a trip 20 miles east of Los Angeles, nestled within the quaint suburbs of the San Gabriel Valley (SGV), where a pathway to social independence, a boulevard of culinary treasures, and a road to self-discovery collide. Joining them are some YouTubers you might recognize including AJ Rafael, Kevin Lien, Scott Yoshimoto, and Casey Nishizu. How many references can you find on this track? BTW – nice change up on the end of the song. You a waitress at Guppy House daaamn! Our lives are shaped by our experiences. Our experiences are preserved in our memories. But what if we had a chance to remember things that we never actually experienced? “Shell” explores this idea through a quiet conversation. If you could look through a window that softened the edge between reality and fiction, what would you want to see? What would you want to remember? Originally conceptualized as a senior project at school, the film was based on the idea was that, in the future, people would be able to buy memories– real or not. This technology would allow people to buy the ultimate human gift. What is more intimate and touching than a memory? The short blurs the line between fiction and reality. The visuals of the two environments are juxtaposed to one another as reality and “memories” become more of a confession of “true” feelings. Shell is the Official Selection for 2011 Seoul International Extreme-Short Image and Film Festival. This entry was posted in shorts on August 31, 2011 by Kevin Hsieh - channel APA. Singer Melissa Polinar released the original song “I’m Ready”. She tackles the tough emotional transition for someone to let go of the past and be ready for a new relationship. Sometimes you just know you’re ready. Listen to more Melissa Polinar: Forever With You, Say You’ll Stay, Back To Me, Honestly, and Try. Rappers Kixxie Siete x Art Official dropped a fresh new joint “The Breakout”. They’ve got some sick flows to the chill beats. The duo keeps hip hop real by returning to its roots. It’s lyrical alchemy going down on this track. They be floating along singing this song in hopes that you’ll be singing along. You can download the single FREE here. Listen to more Kixxie Siete : Way too Long , Enter the Swaggin’ #1 (Snake Style), and Enter the Swaggin’ #2 (Tiger Style).